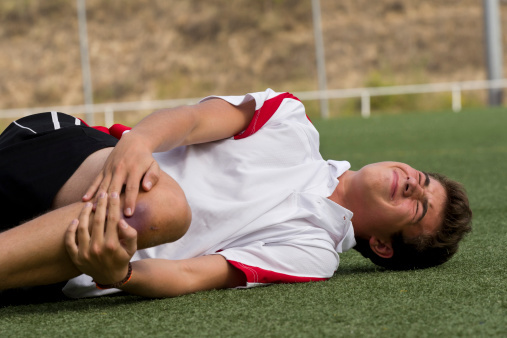 Let’s look at ways to prevent sports injuries in youth. While participating in sports can be a great way to teach teamwork, instill discipline, and help kids stay active, all sports come with the risk of injury. Knowing the causes of injury and how to prevent them can be instrumental in keeping your kids safe. Here are 3 ways to prevent sports injuries while encouraging kids to stay active. Ways to Prevent Sports Injuries #1. Use Proper Equipment. It’s very important that children use the proper equipment for the sport they are playing, and that it fits properly. Ask your child’s coach about the appropriate helmets, pads, mouth guards, shoes and other protective equipment. In the United States, the National Operating Committee on Standards for Athletic Equipment sets standards. All equipment that your child is using should meet these standards. Ways to Prevent Sports Injuries #2. Adult Supervision. Any team sport that your child is involved in should be properly supervised. Select a team and coach that shares your philosophy of putting safety first, and also make sure the coach is CPR and first aid supervised. Ways to Prevent Sports Injuries #3. Proper Preparation. Make sure that your children play sports that adequately match their skill level, emotional and physical maturity, and size. Every good practice and game should include an adequate warm up. Kids should be given plenty of opportunities throughout to drink fluids and rest. While sports are a great way to keep kids active, keeping these tips in mind will keep your child safe in sports. Never push a child to join a sport they do not enjoy- the best way to foster a love of exercise to find activities your child enjoys. For more ways to keep kids active, consider joining our Kids Yoga Class on the weekends or start working with one of our Health Coaches at KareBoost Health!